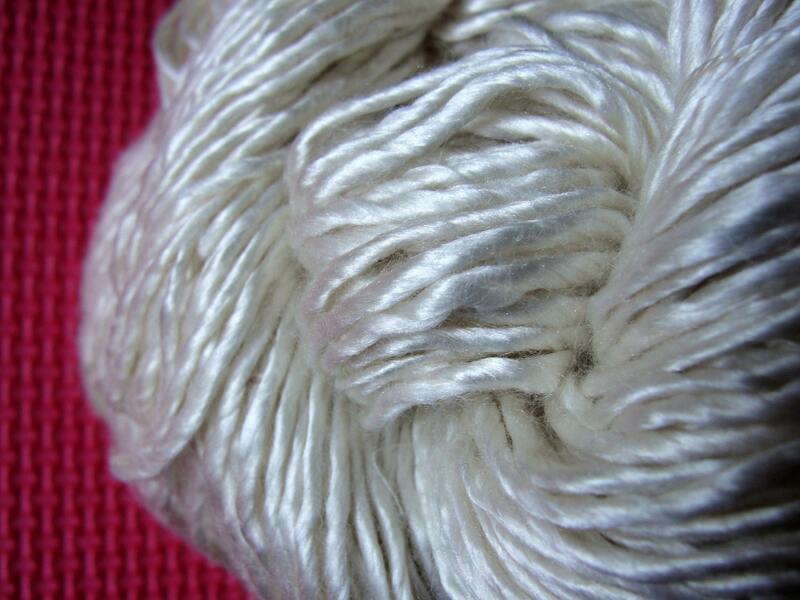 the amber threads blog: Lots of recycled! Here's what I found on Etsy this week! Isn't it real classy? It's made from a skateboard! I found it here. 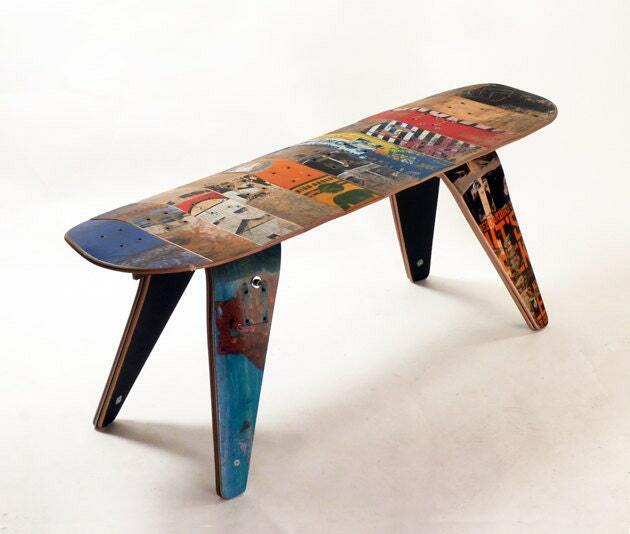 It's a recycled skate board bench! Speaking of which I have new colors of recycled sari silk yarn in my store! I get right to the point don't I? I've listed a few already there are more to come! Here's a preview. 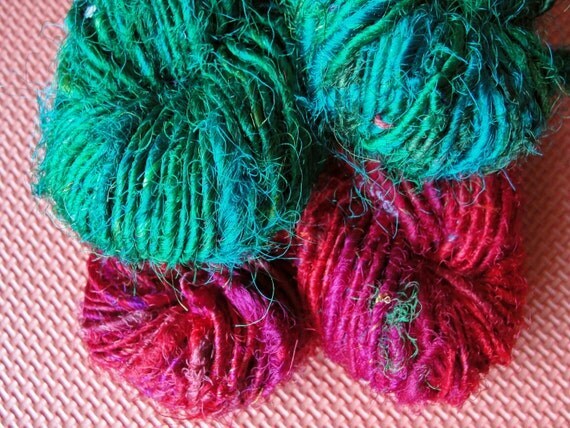 Green and red and BLACK recycled sari silk yarn! Yeah who'da thunk! Details here. Green's my favorite and so is black! What's yours? And new un-dyed silk yarn, or silk yarn blanks for all you folks wanting to try your hand at silk dyeing and all you expert dyers! I like the natural color by itself. This yarn is worsted weight duke silk yarn and knits or crochets up real quick into pretty scarves and stoles. Here's the link to find out more or buy it. Labels: amber threads, crochet supplies, india, indian silk yarn., knitting, knitting supplies, recycled sari silk, recycled sari silk yarn, recycled silk yarn, sari silk, silk yarn, yarn, yarn from india.